Nigerian beans are quite popular in the UK. Sure, the English heart yearns for them too now that you have experienced how amazing the humble lentil can be. No worries about having to wait until a friend gets a bag of the amazing brown beans back to you. 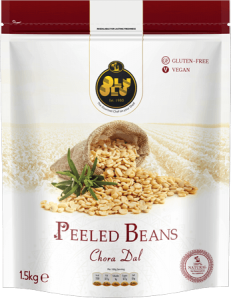 Olu Olu has now made it possible for you to remain anywhere in the world and have your fill of honey beans UK too. The variety of the available Nigerian beans from Olu Olu is sure to take the foodies by surprise. Fortunately, the beans can be incorporated into just about any dish in Nigeria, right from a thick stew of beans made with tomatoes, yam, and raw plantains to the delightful dishes enjoyed by the Yoruba tribe. It is not about travelling to the heart of Nigeria any more. 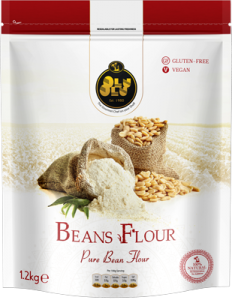 Olu Olu has succeeded in making the beans come to you by the sheer dint of hard work that involves training the farmers to produce the best crops and bringing the nutritious legumes right to the doorstep of their customers. The Western World has been overjoyed to taste the unique yet strange sweetness of the honey beans that originate in Africa. Although offbeat, this particular variety has piqued the curiosity of people so much that hardly a day goes by without Olu Olu receiving an order for the beans that they source. 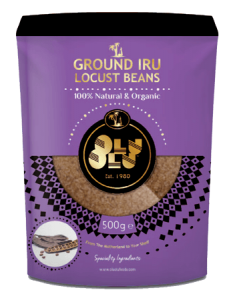 There is absolutely no way that an experiment of tasting the peeled beans from Olu Olu fails as the company takes total care of the harvesting process as well as the shipping. Surprisingly, brown beans taste much better in traditional Nigerian dishes as opposed to the common breakfast dish of baked beans. No wonder the populace of England has found it much more exciting to step into a gourmet food store or just go online and click on the ‘order’ button for obtaining the super tasty and super healthy Nigerian beans. Olu Olu understands the stellar role that the honey beans play when comes to the daily diet of a Nigerian and is only too pleased to pass on the same experience to the others living half a world away. There is no arguing with its nutritional value either. They are known to contain a good amount of protein and carbohydrate along with almost all the important minerals required by a human being. Be sure to have your fill of the delicious brown beans. You are welcome to have it as a standalone dish or cook it up as an alternative to the meat dish for dinner. Trust Olu Olu to provide you with the greatest product, you will certainly not be disappointed, that’s a promise!